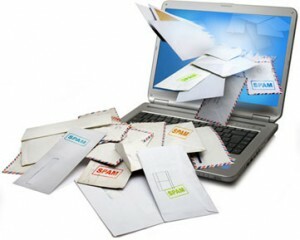 Email marketing programs have numerous benefits to offer for your business. It does not matter what industry sector your business is involved in. For example, email marketing programs will keep your business’s products and services fresh in the minds of your customers. Recent statistics have shown that, on average, for each dollar that you invest in email marketing, you can see a return of $43.00. Think of all of the business professionals that you know. In the mornings, one of the first activities you usually engage in upon arriving at the office is checking your email. Many professionals check their email an average of 6-8 times a day, and with the advent of smartphones, many of our phones will let us know when we have incoming messages or emails. When it comes to email marketing programs with Webati, you will not have to worry about your expenses increasing as your list of contacts grows. We do not charge by the number of contacts. Additionally, we will also teach you the basics and teach you what goes into email marketing programs. This is valuable information that every business owner should at least have a basic knowledge of. Email marketing programs can actually take many different forms. For example, you might want to send out a weekly email to customers to showcase new products and services that your business is offering, or you might want to offer a biweekly newsletter. Webati will work closely with you to determine which option is going to work best with your company’s targeted demographic. In order to be effective, the content of your email marketing programs is going to have to be superb, similar to the content of your site’s landing page or sales funnel. Unfortunately, this is an area where many business owners are lacking. Fortunately, Webati maintains a dedicated team of in house copywriters that are experts in their craft. The copy they produce for your emails will be compelling, attention grabbing, and motivate your clients to take action. Come see what email marketing programs from Webati can do for your business today. Contact us via email or by telephone. Our prices are affordable, and it will be one of the best investments you have ever made on behalf of your business. Your initial consultation with us is 100% free, and you are guaranteed to love the results we provide you with.